We take pride in our PT only, one-on-one world-class customer service. Please reference a sample of some client testimonials below. "What a wonderful experience at Ultimate Treatment Zone, from Jodi at the front desk, to Michael my therapist, to John the owner. On my 1st visit Michael asked me questions and listened to assess my injury and pain. I felt in competent hands from that 1st visit. During my 4 sessions he taught me how to lift properly, worked on my back and hip area, and instructed me on exercises to do regularly. The atmosphere is caring, friendly and and VERY knowledgeable. Ultimate was a great fit for me and I will recommend them to family and friends." "I cannot say enough about how comprehensive and profound the care I have been receiving from John Utz at Ultimate Treatment Zone Physical Therapy. I not only get valuable personal attention, but he explains to me why I am doing specific exercises; giving me instructions on home exercises to work on before the next session. He was recommended by a neighbor and has lived up to expectations. He is patient, attentive and motivating.﻿Enter a testimonial from a satisfied customer or an excerpt of a positive review of your business. We recommend surrounding the citation with quotation marks, as we have done here. Don't forget to include the source!" "I've been going to John Utz,Ultimate Treatment Zone Physical Therapy, for 11 years. He has treated me for chronic pain, muscle pain and spasms, as well as post surgery therapy on my cervical spine, twice, and my post surgical therapy on my lumbar spine. I continue to see John on a yearly basis for maintenance. I can honestly say hes got the best physical therapy practice in town. Very knowledgeable and courteous staff. I highly recommend anyone needing a therapist in town to stop looking. You've definetly found the bes﻿t." "Sometimes there are no words and my fear is the people will think I am exaggerating. Trust me when I say every word of this is heartfelt. I have been in chronic pain for months and months with part sciatica and part bulging disks. The pain was beginning to impact my quality of life and my overall attitude. When my primary care doc recommended I go to physical therapy, I was totally reluctant. I didn't feel like travelling across town to do reps on some machine. Well BIG SURPRISE. Enter Jenn Han - the miracle worker. I braced myself for the first visit getting ready to work the machines. I could not have been more off. Jenn asked me lots of questions and listened to my answers. Then she started to work her magic. She said "things are far too inflamed for me to start having you do any exercises. We need to calm things down first." For at least the next 8 -10 sessions she worked on my body and every time I went my pain lessened, my spirits were brighter and my commitment to being completely healthy came back. When things did calm down, Jenn gave me simple exercises that are beginning to strengthen the area causing me such pain and convinced me to use ice on a regular basis when there is a flare up. If you live in Tucson and have any any pain you want to get rid of, I would recommend your taking the time to seek out Jenn Han and have her work her miracles. She is competent, kind, fun, funny and she really really listens. I have my health back and I have her to thank for that. I feel very blessed.﻿"
"John and Mike and Jodi are outstanding in every way. I woke up at 2:00 AM with the most excruciating pain I have ever experienced in my neck. My primary physician referred me to Ultimate Treatment Zone for physical therapy. John Utz, the owner, did an evaluation and pinpointed my problems and instantly developed a treatment plan, which include but was not limited to dry needle therapy. The dry needle therapy was extraordinarily effective and provided instant relief; I was totally amazed at how effective the dry needle therapy was. I highly recommmed dry needl if recommended by John. John and Mike also treated me with Acupressure, which also was completely effective. John has also taught me several effective exercises that I and do at home and provides photos of me doing the exercises to improve my posture. I have experienced a 90%+ improvement since beginning therapy. Jodi, at the front desk, is excellent in that she communicates perfectly and makes scheduling appointments effortless. This is a great physical therapy company and I highly recommend UTZ. Many thanks to everyone for their great help." "John Utz is an excellent and knowledgeable phisical therapist. He was able to detetmine what and how he would help me. I'm more capable of dealing with my pain. I have also been taught exercises that will help, this knowledge is power. Ultimate Treatmen Zone is the right place to go for courtious and experienced help. Mr Utz has a great staff and clean environment. I recommend theraphy treatment to john Utz and his staff. Thanks John! Thanks Jen!﻿testimonial from a satisfied customer or an excerpt of a positive review of your business. We recommend surrounding the citation with quotation marks, as we have done here. Don't forget to include the source!" "These therapists spend time with you individually (they don't send you off to an assistant) and they know what they're doing!! Go here!! Don't go anywhere else! !﻿"
"John & the therapists at UTZ are great! After a severe knee injury & surgery I was in a brace for 7 1/2 weeks and I had 0 mobility & 0 strength - when I got to their office I was scared & in pain and they slowly and patiently worked with me. Today, after 3 weeks, I am walking normally without pain!! I just did 15 minutes on the stationary bike & 15 minutes on the treadmill!!" "John Utz and his staff were very professional and effective in treating my sciatica. They taught me several helpful methods to control my pain. I am back on the golf course and playing as well as ever.﻿"
"I have had nothing but successful treatment from John. From unexpected, stabbing back pain to an unexpected and very painful bursitis in the hip and a painful shoulder, his diagnoses have been instantly accurate and the treatments have given me immediate relief - even when he said it might take a day or two to take effect. He then provides me with exercises to tone and/or stretch the muscles in the affected areas so that the problems do not re-occur. He has even improved my golf swing! Thanks goodness for John.﻿"
"John and his team at Ultimate Treatment Zone immediately diagnosed what was causing my sports hernia and gave me a regimen of stretches and exercises that had results within the first week. My first day there I could barely walk after playing sports and John clearly explained to me what the problem was and how I should go about resolving it. Within a month I was running again and on my way back to playing sports. 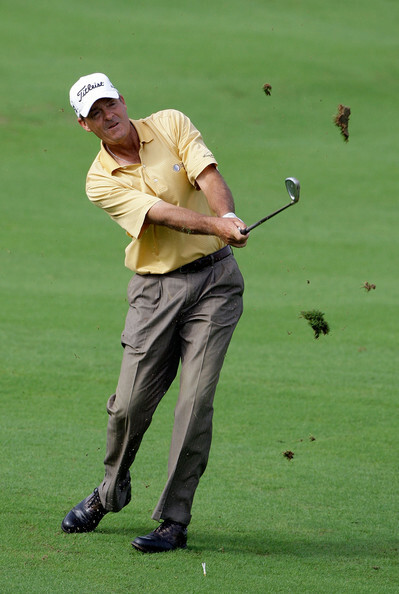 He also told me how my condition was affecting my golf swing, which was really helpful." "My experince was I cut my pain in half in 12 sessions, now I have excerise that I can do to help my condition, John and staff are a goooooood team they take time with you to help your condition, I would highly recommend them." John Utz taught me how to walk again after a double compound fracture in my leg. I only trust Ultimate Treatment Zone (U.T.Z.) to handle my therapy needs, and have been more than willing to drive from Wilcox to see John when needed. The staff is very professional and John and is a compassionate and caring therapist and person." "John (Physical Therapist) and staff are absolutely wonderful. They are very knowledgeable about their clients' needs and bring the best possible care to them. The office is always clean and inviting. Over the past few years I've seen John for different problems and have always been very satisfied with the results. I can't recommend them more highly if you need a good, reliable and caring Physical Therapist." My husband and I have both had excellent experiences with John Utz at Ultimate Treatment Zone. We are active, and have had varying issues with which we have needed his help, ranging from a painful neck disc problem to vertigo to joint pain. 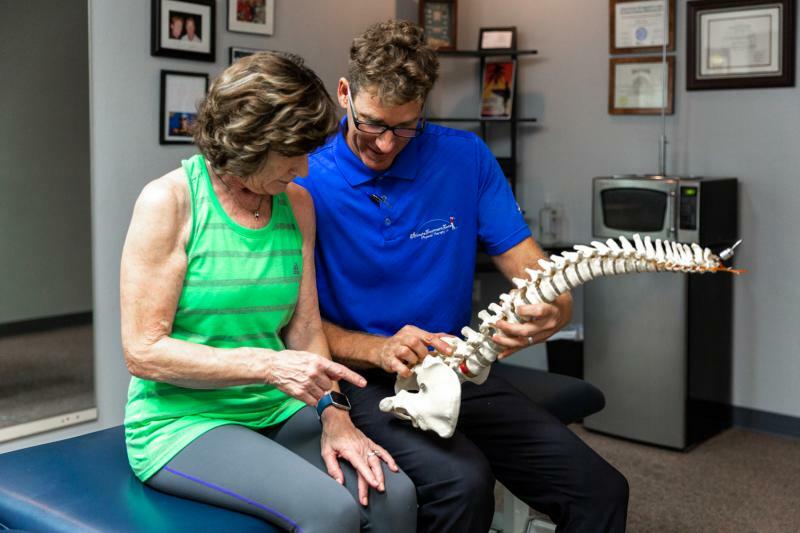 I've worked in health care a long time, and I think what sets John apart from other physical therapists is that his compassion compliments his extensive knowledge and experience. In our sessions with him, he prioritized symptom management first, so we were ready to proceed with other treatments and exercises. He demonstrated urgency to help get the pain (or dizziness) under control, which was a big relief and exactly what we needed before moving forward. We also found that he helped with long term maintenance of our improvements, not just fixing the immediate problem." "John Utz has worked with me on two separate issues. He's helped me with neck pain and most recently, recovery from a total knee replacement. In both instances, he's gone above and beyond what I expected from therapy. He's a caring, concerned, incredibly knowledgeable, therapist and for that reason, I haven't hesitated to refer friends to him. They have been equally impressed with the care they've received. Megan, his office manager, always made sure I had the appointments I needed, when I needed them, even though at times it required me to be on the cancellation list. She always made it work. Again, I will continue to refer friends to Ultimate Treatment Zone without hesitation. ﻿"
﻿"I have been to several physical therapists in Tucson but none more professional than Ultimate Treatment Zone. They came highly recommended by a good friend of mine and they did not disappoint me. The staff was very accommodating in getting me in right away. John and and staff worked on my back and Planters Fasciitis and for the first time in years, I am pain free. "Best physical therapy in town. There are 3 physical therapists. Individual attention to me, the patient. They are not juggling several clients at a time. ﻿Highly recommend John and his staff. Jody at the front desk is very knowledgeable with insurance issues, scheduling etc. Great service.﻿stimonial from a satisfied customer or an excerpt of a positive review of your business. We recommend surrounding the citation with quotation marks, as we have done here. Don't forget to include the source!" "GO here, do not go anywhere else!" " I have my health back"
"Willing to drive from Wilcox"
﻿Click here to contact us.